A few years back, just before Michele and I married, I put some time in getting her house ready to sell. In the process of painting walls and making other repairs, I noticed that the two covers on the intake for the heat and air return had been scratched, chipped and had some rust on them that had occurred over the years. And so I took them off the wall and brought them to my house in OKC to work on. I hooked up a wire wheel on my drill and began to work on stripping the paint and rust off of the two covers. Slowly the rust came off, and the old paint smoothed out. Very soon, the covers were ready to be re-painted. I began to spray primer on them and slowly the bare metal and old paint turned grey with the primer. After allowing it to dry, I lightly sanded, and applied a second coat of primer. Then I started to paint with a glossy white paint. And so, after three coats of the white and some light steel wool use between coats, the covers soon looked good as new. That got me to thinking about what it means to accept the gift of the Resurrection, the gift of Salvation. In some ways it is like Jesus’ atoning act of death on the cross, followed by God’s powerful healing touch that raised Jesus on the third day is a sort of like putting a fresh coat of paint on our lives. When we turn to Christ, confess our sins, and ask for forgiveness; we are, in a manner of speaking, sanded down, and prepared to be repainted, refinished with the gift of Salvation. This is the gift of a fresh coat of life, if you will; a new fresh start in life, full of all the beauty of a freshly painted surface. When we allow Jesus to become our renewing savior, all the old scratches, rust, pitted spots are smoothed out, and the fresh covering of the Holy Spirit serves to make us, well, to make us just like new. May you find time to clean off the old and allow the new to come upon you, that is let God to re-paint you, with the blessing of the redemption and salvation! Please remember, God loves you and so do I; and all you can do about it is to love back! 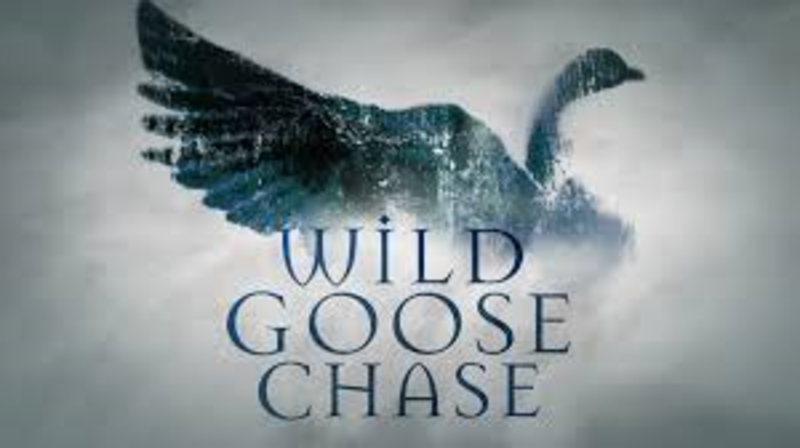 May you share time with The Wild Goose!